A majority of organisations who are adopting an agile approach are using Scrum as their agile framework. Scrum is popular because it increases a product’s chance of success by emphasising periodic guidance, frequent inspections, and the ability to make changes as the product development progresses. 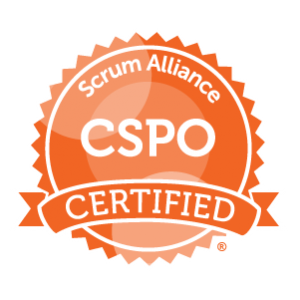 In our experience with running this course, we have come to understand that many delegates have been using Scrum for some time and understand the basics. A majority of those delegates would also like to come away with some Agile practices that they can apply in their context. With this in mind, we give you an experience of some more advanced agile techniques. With the trainer’s depth of delivery experience, we have sought to bring an understanding of Scrum and Agile principles, but also with user-centred techniques that will help you get to a metrics based outcome driven product development approach. Identifying where to start, where is the highest value? Whether you are a Product Owner, Portfolio Manager, Program Manager, Product Manager or Business Analyst or just responsible for defining product vision or requirements, this course is for you.